Didn’t always. I was one of those “quiet” ones when I was young. Seen, and not heard. I believed that “empty barrels made the most noise,” as the nuns taught us in grade school. Plus, I was a student most of my youth, and, if I learned anything, it was how to pay attention, or at least to give that appearance. You can’t do it well with your mouth flapping all the time. Don’t know when I felt I needed to “switch” from being mostly an observor and a listener, to becoming more engaged toward action as a speech-maker. Must have been the army when I got commissioned an officer. But, looking back, it seems that I continued to listen a lot. I listened to the career sergeants state-side. They had experience and with a little bit of street sense, I was able to figure out which were sincerely trying to help a brand new second lieutenant and not hinder him. Particularly, one like me who had not yet turned 21 years old. I also did a lot of listening in Vietnam. Once again, a little voice within told me to “follow” the advice of those who been there before me, and to accept their guidance. Rank has its privilege, but not to be intentionally stupid and think you know it all. People said that the life expectancy of a second lieutenant in Vietnam was less than 10 minutes. Those new officers didn’t know when or how to listen, is what I think contributed to their major losses. Back home and married, I went to college and then graduate school and continued being a good listener. I even entered a profession where listening well paid off. I became a newspaper reporter and prided myself on getting quotes as correct as possible. I learned that you couldn’t achieve accuracy while running your mouth at the same time. I think I tried to develop a “gift of gab” when I took a leave of absence from daily news-reporting, and served as an “organizer” for The Newspaper Guild. I familiarized myself with labor law and “preached” the union message across three states, talking up a storm where ever underpaid and overworked journalists sought to improve their lot. Went to law school to advance that cause, the union message, but ended up with a “D” in labor law. Became a trial lawyer — a public defender — and forced myself into public speaking and the rotten habit of “arguing” cases with other “talkers” who often out-talked me before some judges. Never could get that “last word” in, but not from a lack of trying. Learned I could speak better, and with more credibility, to a jury, and found my niche trial after trial by avoiding any legalism and all “highfalutin” words. I won more than I lost. And “hung” so many trials thereby providing a client with a whole new jury panel, that I created an internet ID at ihungjury@comcast.net. Will be inactive from the practice of law for almost two years soon, but I often get the urge to “exercise my mouth” at public gatherings. I ask questions. I follow-up with more questions. And then give my opinion whether asked for or not. I want to put the brakes on. I really want to shut my mouth, “arrest it” for a while. Am now tutoring a person from Ukraine who is speaking English as a second language, and I find I have to listen more in order to help. Made a friend with someone from Venezuela and I’m keeping my mouth in check and listening more intently to understand better. It’s nice to listen and not have to fight to get a point across for a living. Now, let me try it one day at a time in next few social settings I find myself. Silence, on my part, could be golden. For everyone concerned. This entry was posted in Letting Go, meditation and tagged heartfelt, HIGHLY SENSITIVE PERSONS, mindfulness, Philadelphia. In one week, three women indicated that I talked a lot. One had actually said “Please don’t interupt” while she was speaking with another person — also a woman — and I thought, with myself. Wanted to write about feeling a little snubbed by it, but felt a wave of “something” come over me. “Altered reality?” Insight? Humility? However, I do want to be a more active listener. I think it will also help in writing. This middle way is so hard to find. I wish Kim luck in finding it … if indeed the middle way is really her way rather than just another way she thinks she ‘should be’ going.. Thank you for sharing about yourself! You are living proof that a lifestyle of listening does pay off. Being an extrovert, I struggle with it very much. 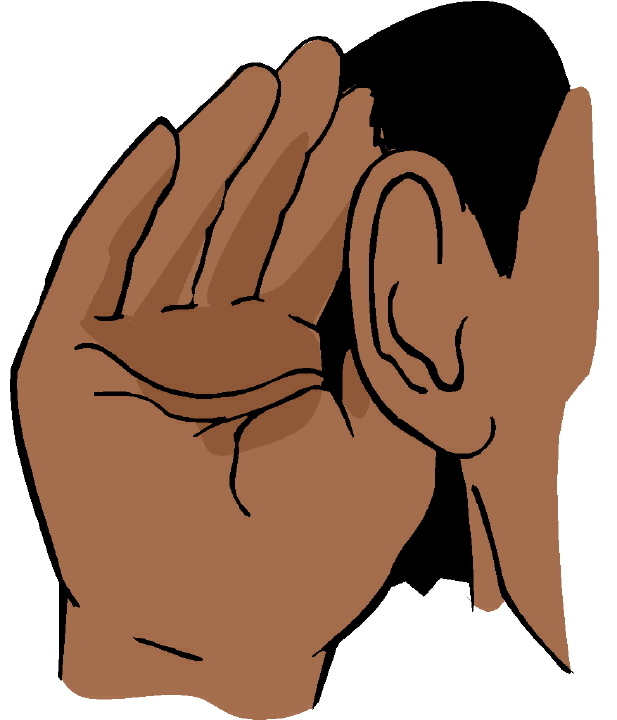 I find when I practice active listening though that I can better empathize with others. Do you find that listening to others comes easier when you have a steady practice of prayer and meditation? Reading Dale Carnegie’s “How to Win Friends and Influence People” a year or two ago has opened my awareness of the importance of active listening in new and effective ways. Its just a matter of practicing it! You don’t know how much you have inspired me. Thanks for your “active listening,” but also the poetry you offered at your house. Wow. That’s quite an impressive resumé Michael. In reading through this, I have to admit I wandered away from your theme of listening and talking to a different theme – which apparently a lot of people never seem to achieve. The art of living. Of actually getting out there and trying things out to see if they fit. Like, in your case, being a journalist, a unionist, a trial lawyer. Some – like me – go for years just puttin’ in time before they finally realize how much more there is to do. You certainly can’t fail when you stay safe and try nothing. You also can’t achieve some of the passionate things you know you’d enjoy if you insist on staying safe. A “hung-jury” was a win for us public defenders. In most cases, it meant that you were done with the case. Another attorney would be assigned the Defense. You were off the hook and got to have bragging rights throughout the office. At least for a little while. Tried cases to more than 100 juries. Did several “retrials,” but only one of my own. Won it by changing strategy — and the line of questioning — for the prosecutor’s lead witness. Tried 10 jury trials in the span of 9 weeks once. An unofficial record in Philadelphia. Got hemorrhoids out of it. Also, put me on the fast track to full-blown PTSD years later. But now I’m back to writing. Enough talk. Let’s walk the walk. . . Fantastic. I love reading your posts. This is top notch. I bow to you with the “right intent” to have “right speech.” If I say nothing at all, I will avoid “wrong speech,” and will have the silence to meditate toward enlightenment.